If you are looking for gym-like equipment for your house, Body Solid Seated Row Machine GSRM40 is definitely a good option to consider. This row machine is built to give you all the possible postures and positions to do the row exercises. The great features, sturdiness and warranty on this equipment makes Body Solid GSRM40 a favorite machine for all home users who don’t want to join a gym due to their busy schedules and work routines. The rubber feet on the Body Solid Seated Row Machine GSRM40 are there to keep it stable and fixed on the ground when you are exercising. No matter how many postures you change with the different handlebars located on the machine, it will stay in its position fixed like a nail in wood. The bronze brushings on the machine have been specially put there to keep it smooth even after years of workout. The Body Solid Seated Row Machine GSRM40 is a machine has been designed with all the ergonomic aspects in mind so when you sit on it and start working out, your stretch will be just enough to put ample pressure and stress on the right muscles that must be targeted through rowing exercise. There are no transport wheels so that’s one area where it is not user-friendly and the weights need to be changed manually and by leaving the seating area. Call 1-800-875-9145 to chat with one of our fitness advisors about the Body Solid Seated Row Machine GSRM40. 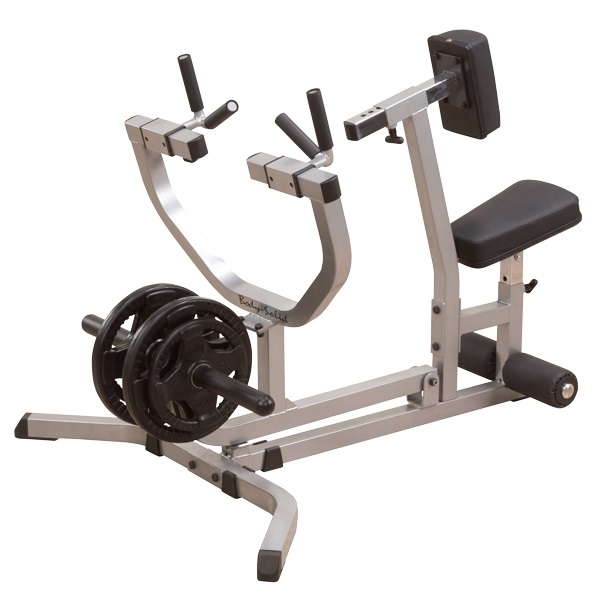 Order your Body Solid Seated Row Machine GSRM40 from FitnessZone.com today! The Body Solid Seated Row Machine GSRM40 has been designed for home users and for those who want to have small gyms at home. This machine provides complete lat muscles’ exercise just like the machines in the gym but it occupies such a small space that anyone at home can easily accommodate it in the home gym. The lifetime manufacturer warranty is on the equipment to give more peace of mind to the users if they are not sure about their investment. The hand grips on the machine can also be adjusted for focusing particular parts of the muscles. Frames, Welds, Weight Plates & Guide Rods - Lifetime of the original purchaser. 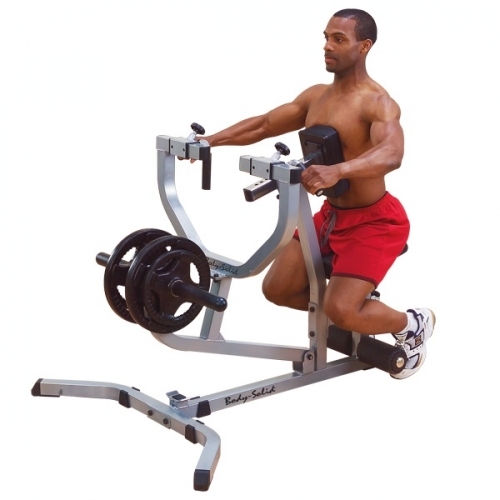 Order your Body Solid Seated Row Machine from FitnessZone.com today!